Sake Boonstra – lead vocals. Jimi Bonnema – guitars, bckgr vocals, lead vocal (on track 7). 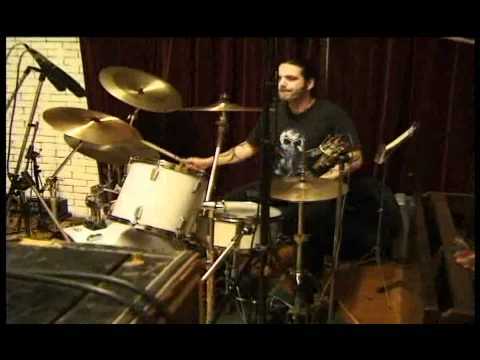 Angel Vilar Castellar – drums, voice-over (on track 10). Remi v/d Schaaf – bass guitar, bckgr vocals. All songs written by Desert Sons. Produced by Milan Ciric and Desert Sons. Pictures by Gea Kuiken, Tanja, Remi and Sake. Cover design by Desert Sons, artwork by Sake. Recorded at the Sing-Sing Studio Metslawier. Special thanks to Willem the soundman on the road and Tom Kuiken the practiceroom man. Released in October 2006. The Desert Sons just jammin’ with “supertalent” Harm at the Sing-Sing Studio in Metslawier early 2006. Thanks to Ome Sake for the additional info.